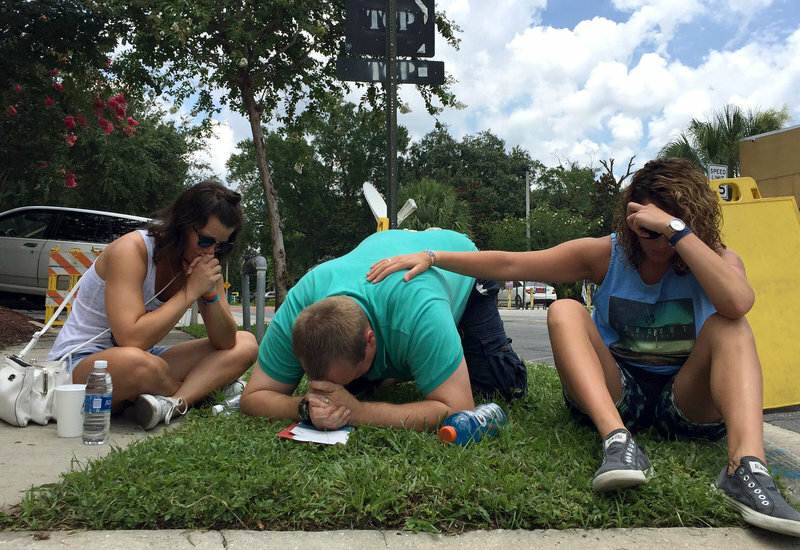 People pray on Orange Ave. in Orlando, near the Pulse night club. Our heartfelt prayers go out to the family and friends of those killed and injured by the senseless act of violence on innocent people at The Pulse nightclub in Orlando, Fla., early Sunday morning. This massacre was a cowardly attack on the rights and freedom of all peace-loving people. 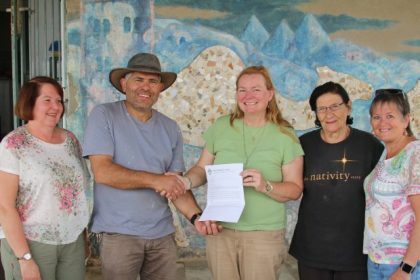 The World Methodist Council condemns all acts of violence, hatred and bigotry, and affirms the dignity of all persons irrespective of race, religion, or sexual orientation. We pray for God’s peace to touch the lives of all those affected, and we continue to hope for a day when that peace extends to the world around us.